State bank reported that all new banknotes will be signed by Governer Tariq Bajwa from tomorrow onwards. The State Bank of Pakistan (SBP) has announced that all new currency notes will bear the signatures of Governor Tariq Bajwa. Bajwa was appointed as the governor of the State Bank in July 2017, after quickly climbing the ranks in the industry. He is the successor to Governor Riaz Riazuddin, and has previously been chairman for the Federal Board of Revenue (FBR). Bajwa was also Secretary to the country’s Economic Affairs Division (EAD) before he moved to the same position in Finance Division in February, 2017. Almost half a year later, his signatures will be printed upon all banknotes. The new currency notes are to be issued by field offices of the State bank’s Banking Services Corporation. (Those signed by previous governors will also remain in circulation). Tariq Bajwa is an influential figure in the government of Pakistan. Two of his brothers also hold key positions: Asif Bajwa is the chief of Pakistan Bureau of Statistics (PBS) and Rashid Bajwa is in-charge of the National Rural Support Programme. Tariq Bajwa has graduated with a Master’s Degree from Harvard and is the only Pakistani to hold a Littauer fellowship. The accomplishment deserves applause — and signed banknotes appear to be it. 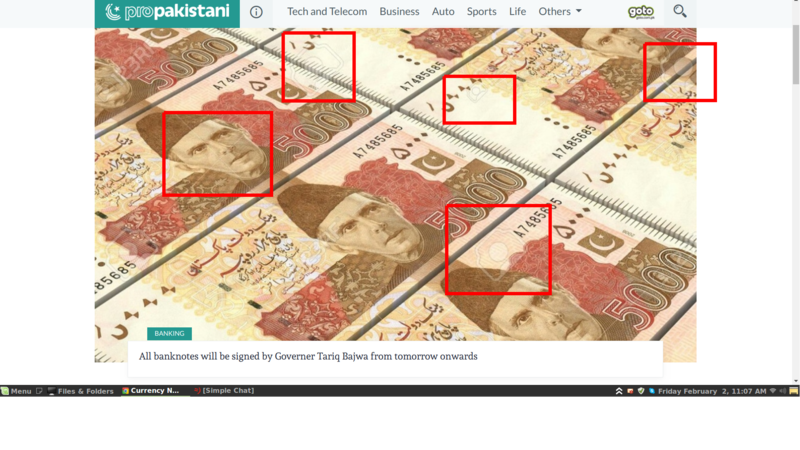 These new currency notes will immortalize the already prominent name of Tariq Bajwa. The new notes with his signatures will be published from tomorrow (February 2nd, 2018). the title pic is copyright protected. it has a watermarked with stock image logo. blogs like yours should have a purchased stock photos account. and you are using watermarked images.